Many thanks for the support to Itchi and Philips. Philips is proposing an RRP of 839 Euro for the 272P7VPTKEB/00. 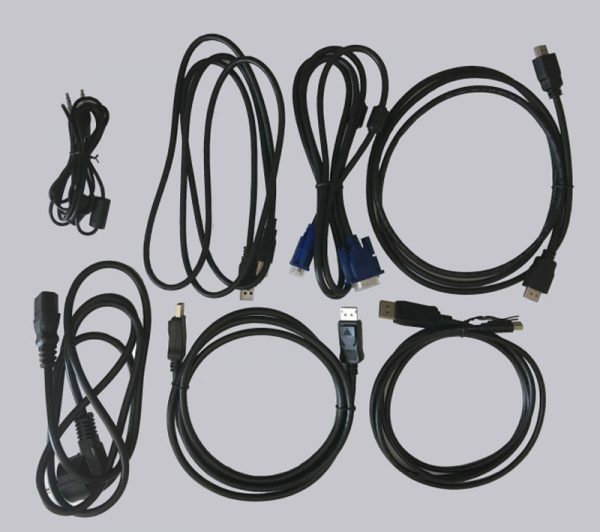 At the time of testing, however, it is already available in stores from approx. 540 Euro (01/2019). 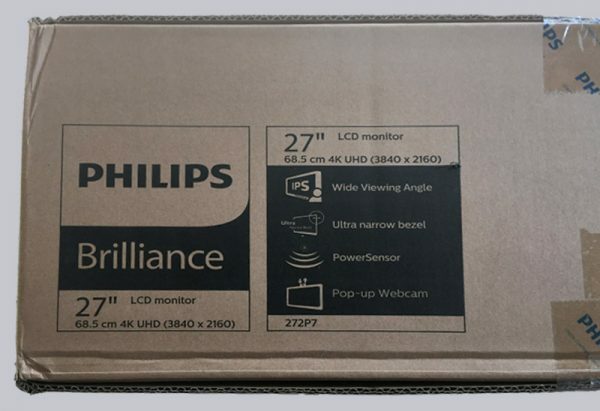 Here you can order the Philips 272P7VPTKEB/00 monitor. The cardboard is relatively simple and presents itself in eco-friendly brown. 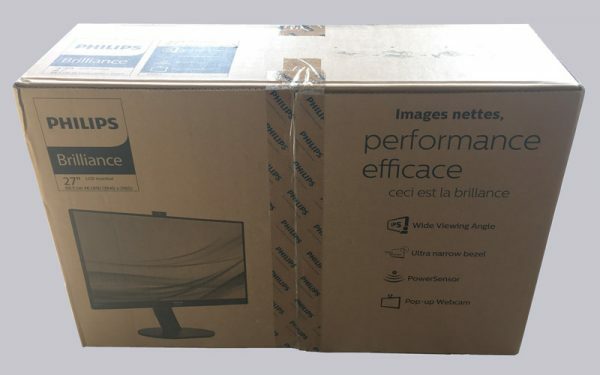 The cardboard is printed with some highlights of the monitor. The most important product features are also summarized on the top page. 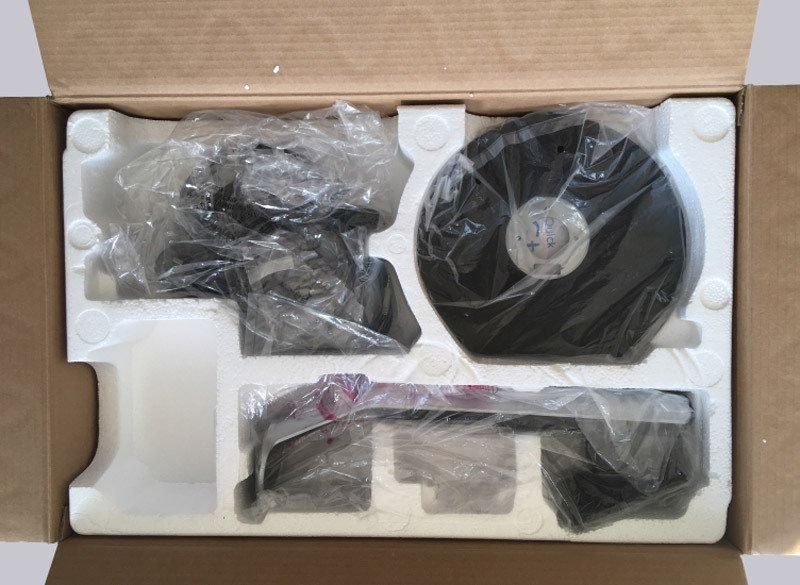 After we have opened the box, we find everything neatly sorted and individually packed in the polystyrene insert. 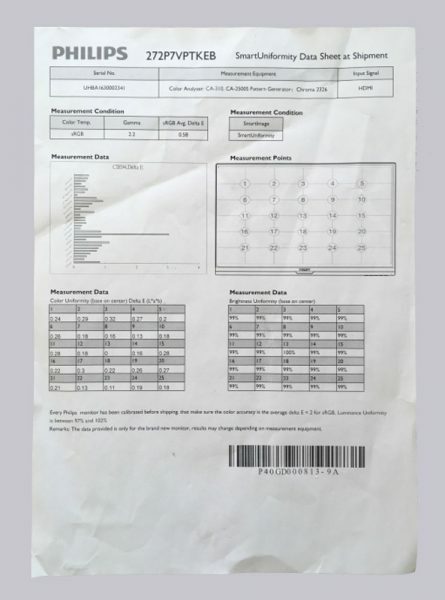 As was to be expected with a monitor for professional use, a measurement report with the illumination and colour properties is also included. Of course also included is a driver CD and a short manual in German and English. The Phillips 272P7VPTKEB/00 also comes with an exemplary package. Beside a power cable we find a normal display port, a display port on mini display port, HMDI, VGA, USB 3.0 type-A on type-B as well as a jack cable. There is absolutely nothing to criticize here. 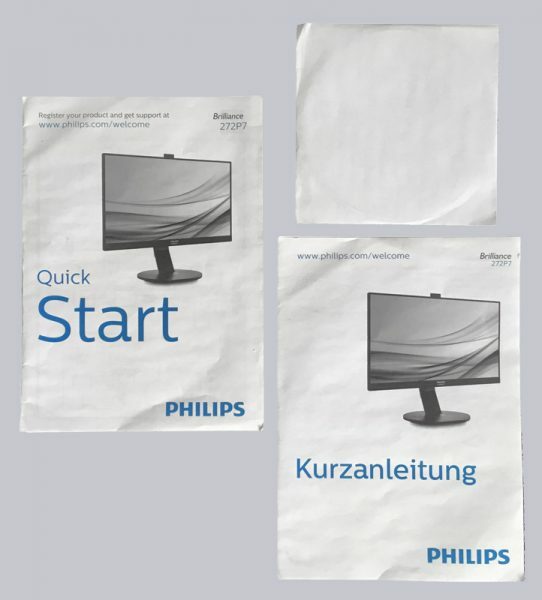 Philips didn’t save on accessories. 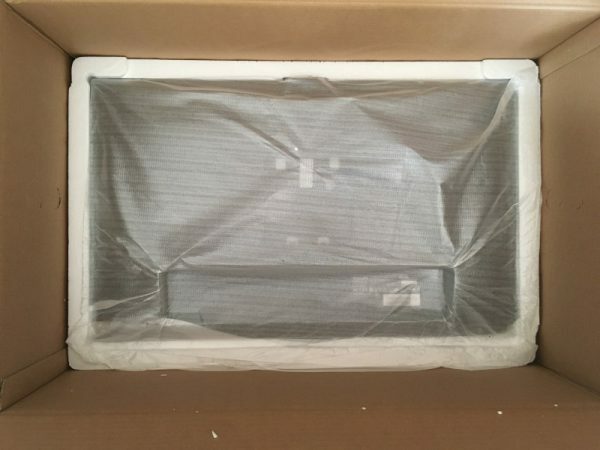 The second part of the polystyrene insert reveals the heart of the box, the display. This was also protected with foam foil. Now we come to the technical data of the UHD monitor.